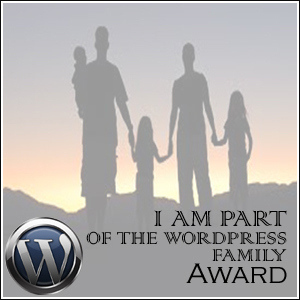 Shaun from http://prayingforoneday.wordpress.com has been kind enough to nominate me for this award. This is a very interesting award. Look at what Shaun had to say. I would also like to nominate a string of new subscribers and commenters. They feel like new family not only in the fact that they havent asked me to borrow money or help them carry something heavy. They have left lovely comments and I really felt engaged through their comments!!!!!!!!!! Posted on July 19, 2013 July 19, 2013 by mrmarymuthafuckingpoppinsPosted in About MeTagged Award, Awards, Blog, Family (biology), Hosts, MARCH 4th 2013, Publishers, Shaun, Showing that Blogger Love, Tools, Wordpress. Aaaaaaaw cheers, mate! I’m very touched! Yes, family is a wonderful thing, even if it is a virtual one. I -too, have poured my heart out here. The good, the bad and the ugly and there has always been a kind blogger – or many, reaching out to me and letting me know all will be ok in the end. Oh dear friend of mine, I get surprised every time I see a special mention of my site in one of your posts. I haven’t been writing for the past few weeks because of some recent snags at work. I also go online on weekends or else, I’d get nothing done on weekdays :-). Every time I do, I drop by here because I know there’s always something valuable here I can take with me before I turn off my computer for the day. You deserve to earn the accolades and attention you’ve been recently getting. I am proud of you. 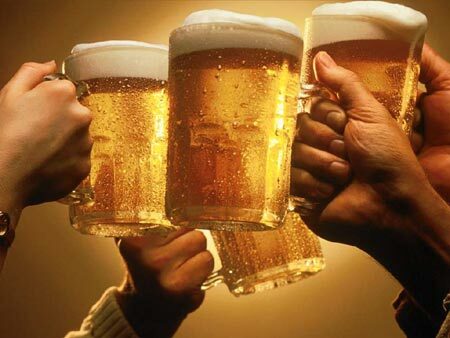 That you’ve been able to get a new place for you, your lady, and your pets is special reason enough to celebrate so I’m taking that mug of beer you just handed to us your readers. Thank you, my dear. Awww.. I’m well underway into my Friday night drunken stupor, but I’m still touched by the nomination – more so by your saying that your nominees are like family to you. THAT deserves another drink. Congrats sweetie and thank you! What a lovely thing to wake up to! I’ve always enjoyed your posts for their intelligence, humour, willingness to talk about the big stuff (politics, sexism, racism, religion etc) and don’t-give-a-shitness, keep it up please! Oh goodness! It’s an honor to be surrounded by so many great bloggers and for you to consider me part of the “family”…thank you so much. Blogging helped me in many ways and the support I got…I wouldn’t trade it for the world. It’s funny how that goes huh?